With less than a month until the highly anticipated release of "Halo: Combat Evolved Anniversary" on Nov. 15, Microsoft's "Halo" studio, 343 Industries unleashed a volley of exciting news at New York Comic-Con this weekend, including the return of the fan-favorite multiplayer map Hang 'Em High in "Halo: Combat Evolved Anniversary," details about the game's innovative Kinect integration, and the next evolution of Halo Waypoint, the ultimate online destination for "Halo" fans. Hang 'Em High Makes Its Triumphant Return in "Halo: Anniversary"
Announced at New York Comic-Con, High Noon, the stunning remake of the classic "Halo: Combat Evolved" map Hang 'Em High, is set to make its glorious return in "Halo: Anniversary." High Noon (also known as Hang 'Em High in classic mode) combines a decade of poignant nostalgia with the adrenaline-pumping thrill of classic "Halo" multiplayer combat, to round out the cavalcade of seven fan-favorite multiplayer maps launching with "Halo: Anniversary." HIGH NOON - High Noon returns players to the familiar canyons and catwalks of Hang 'Em High, the "Halo: Combat Evolved" classic multiplayer map, now reimagined for "Halo: Anniversary" with unprecedented detail. The vast generator complexes, which power this enormous slipspace portal, allow it to connect with an unknown number of locations across the galaxy. High Noon is a densely-packed arena of platforms, corridors and cover, best suited for team-based combat in both Slayer and Objective gametypes (4 - 12 players). Analyze Mode - Analyze Mode is a Kinect-exclusive feature that allows players to "scan" items of interest within the "Halo: Anniversary" campaign to populate the Library, an interactive encyclopedia of "Halo" lore. Once in Analyze mode, new articles of interest can be added to the Library by focusing the reticule on them and saying "Scan." The Library - The Library is an expansive index that provides detailed information on items of interest players have scanned through "Analyze Mode," such as vehicles, characters, enemies and weapons. 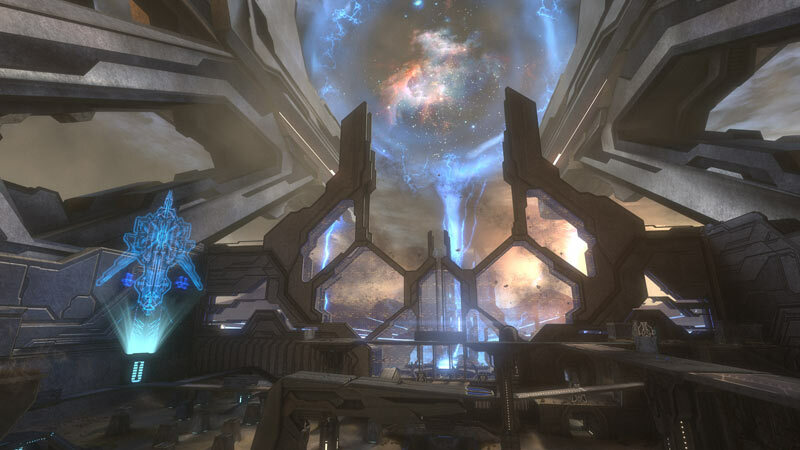 Through the use of gesture controls, players can explore the entire Library at any time and then return to the campaign to continue unlocking more secrets within the "Halo" universe. Voice Commands - Harness the technology of Kinect for Xbox 360 to reload your weapon, throw grenades, switch seamlessly between Classic and Remastered graphics and more, using only your voice. New Halo Waypoint Interface - A revamped design and user interface lets players navigate Halo Waypoint and access the content they want more easily than ever before, whether they're online, on their Xbox 360 or on their Windows Phone. Halo Waypoint ATLAS - Available on Windows Phones this holiday, Halo Waypoint ATLAS (Advanced TacticaL Assault System) is a new mobile experience that offers players a detailed, top-down view of any "Halo: Anniversary" or "Halo: Reach" map in real-time, letting them monitor teammates' movements and positions as they play. This innovative app encourages strategic gameplay and offers a fun companion experience to any multiplayer match. 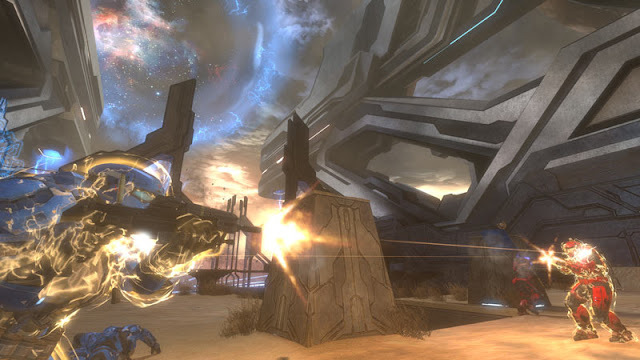 Custom Challenges - Building upon the "Halo" series' genre-defining user-creation toolset, 343 Industries is empowering the community even further by introducing Custom Challenges in "Halo: Anniversary" and "Halo: Reach." For the first time, players will be able to issue custom Challenges and create friendly competitions with Xbox friends, unlocking infinite creative possibilities to invent and test their "Halo" skills against one another. Players will also be able to earn "Halo: Reach" Credits by completing Custom Challenges, infusing new creative potential into the game's deep player progression system, and leveraging all the great new multiplayer maps from "Halo: Anniversary"! For a sneak peek at Halo Waypoint ATLAS and Kinect functionality in "Halo: Anniversary," new footage of the iconic level, "The Pillar of Autumn," and screenshots of High Noon, be sure to check out the new behind-the-scenes videos and screenshot galleries from 343 Industries available today on Halo Waypoint and HaloWaypoint.com.